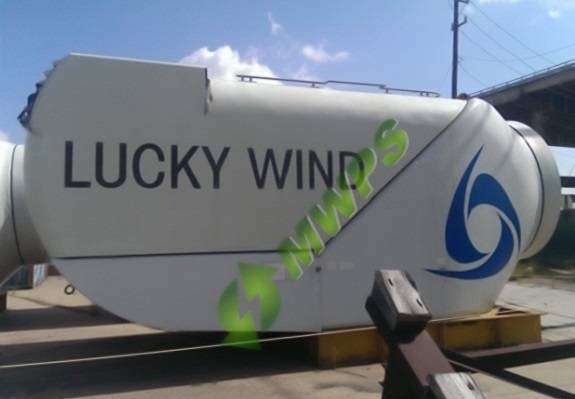 On behalf of one of our US clients, we are pleased to offer these twelve (12) units of never in use W2E - W93 - 2.05MW never installed and 2011 manufactured Wind to Energy GmbH (W2E) wind turbines with a total capacity of 24.6MW for immediate sale. These turbines are supplied complete without towers which are not included. Each turbine has a rated power capacity of 2.05-MW. Tis is a combined rated capacity of 24.6-MW. They are design type class IEC 6100-1, Class 2A. The W2E engineering & technical design team were formerly a part of Nordex, Germany. Nordex was a large German wind turbine technology provider and manufacturer. Assembly of the turbines was verified and certified by Bureau Veritas. However, one tower (tubular steel, 4 sections 85m) had been manufactured and is available for these turbines. Our seller includes this tower as an added bonus at no cost to the buyer. This of course depends on the quantity of turbines purchased. Furthermore, 100m tower options are also available from the manufacturer for the remaining eleven (11) units upon request. These W2E - W93 2.05MW wind turbines are designed and manufactured under license by wind turbine technology provider Wind to Energy GmbH - Germany. There are over  W93 wind turbines operating around the world with 96.7% availability factor. This means, you can so rest assured that these are quality turbines. All major components for the W2E turbines are manufactured and supplied by world-class renown manufacturers. Assembly was undertaken by Shenyang, a subsidiary of A-Power. First of all, these turbines have been in storage since 2011. Therefore, the warranty has expired during that time. The buyer can also ask to be provided with technical support from W2E. The Wind to Energy GmbH (W2E) provides design, manufacture, and construction of the remaining 11 towers (85m or 100m optional). Because W2E (Wind to Energy GmbH), the licensor of these turbines, does support these turbines after a sale, W2E will also provide overhaul and any refurbishing works needed prior to installation. So, renewed warranty will be available if refurbishing and overhaul works is undertaken by W2E GmbH. Also, O&M maintenance service available after installation if required. Furthermore, the seller introduces buyers directly with relevant parties so any additional costs for those services are discussed directly with those entities/persons. Basic inspection reports are also available for each nacell. Three blades have some minor damage due to shipping and will need repairs to the gelcoat before installation. The root end anchor bolts show some rust deposits. As a result, this can be accounted to incidental nicks and scraps caused during transport. There is no need to buy new blades. The damage on the three blades are only superficial. The blades will be fixed on site.